So you’ve learned who I am and think I might be worth working with, eh? Excellent, the brainwashing is working Sweet. You’re on the right track! Let’s be real: it’s all about you, and what I can do with—or for—you. Photography. Share a thousand and one words with my photos. Travel writing. Tell a thousand and one stories through my writing. Brand ambassadorship. Show the world how badass your brand is by partnering with an active adventurer. Destination marketing. Your destination is amazing, and I know how to make people believe it. Sponsorships. I have loads of crazy ideas, and can do them under your name. Sponsored content. You’ve got a great product or service; I’ll make sure people know about it. Download my media kit for more information on how we can work together. I’ve developed a fanbase of followers that care, and engage far beyond the typical Wow! and emoji-only comments. They love me for my honesty, follow me for our open minds, and are addicted to my photography. Download my media kit for more information on my followers and engagement levels. I’m on my game. The fact that I’m prone to getting lost doesn’t mean my head is filled with fluff. Before I left for my current adventure, I’d already visited 4 continents and 50+ countries. You can say I’ve been around. Beyond that, I believe professionalism and attention to detail is most important when it comes to doing business, and I’ll never leave you hanging. I also have professional experience with blogging-related fields. I’m a lean mean design machine, a keen photographer, and I know my way around the kind of written word that people actually want to read. Download my media kit to learn more about my background and skills. Being filmed for a little documentary in Pakistan. Show, don’t tell, right? I’ve been featured, interviewed, and published all over the world. BBC – The most colourful job in the world? 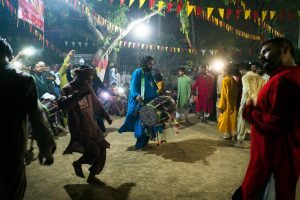 CNN – Pakistan: Adventure travel’s best kept secret? VICE – How Much Money Do You Need to Quit Your Job and Travel for a Year? Ethical Traveler – The Ethics of Budget Travel: Is it Possible to Travel Responsibly on a Budget? Georgian Journal – Why travel to Georgia?